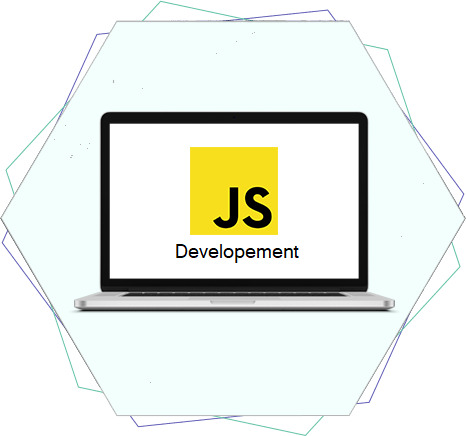 With Macshell, you can obtain JS development for web applications in a customized manner, which means that we align the features and appearance of the application with your business model. Our JS developers analyse your business and industry and also talk to all the major stakeholders of your business. We aim for the excellence that is suitable for your business. This is why our development approach is admired by clients from different industries. Flawless code with MVC components and dependency injection by our experienced programmers. Our developers practice unit testing to ensure the consistency of quality standards in your JS application. We are highly capable of designing and developing dynamic as well as internet rich applications that are highly secured. The coding style of our developers exhibit a unique and smart approach to app development. Experienced and skilled developers analyse your business model and offer desired custom JS solutions. You never have to settle for the low or basic quality of apps. Our developers customize the development process to meet all your business-oriented app requirements. Our custom approach involves the features, maintenance approach, and flexibility of the apps and the possibility of migration as well. Get scalable, enterprise-level mobile apps to reach your market on all platforms. We are dynamic with our development approach. Our developers fill the mobile apps with the best-suited benefits of JS framework. With that, you get the superior quality of mobile apps to expand your business in the digital world. Our technical team can assist in the maintenance and JS support as well. We save you from any potential or emergency JS issues with our maintenance and support. Our team is there to resolve issues in the real-time and give your business the required support. Our experts can design UI and UX to match your industry and business requirements. The design codes are included smartly to provide the much-needed flexibility and appeal. The coding smartness also helps in making JS apps SEO-friendly.